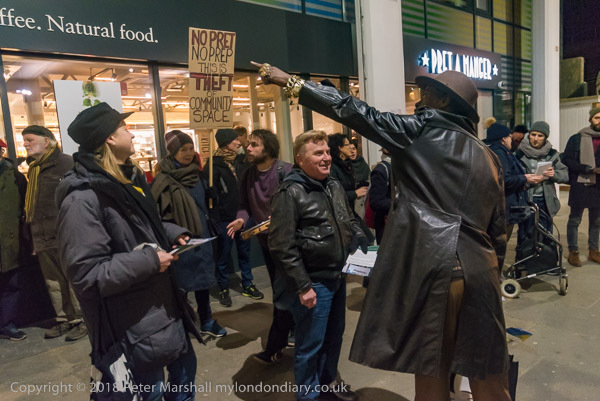 As the survivors and friends and family of those who died in the Grenfell tower disaster recently finished giving their testimonies to the public inquiry, it is perhaps appropriate to point out that this is part of a longer history of contempt and neglect of the North Kensington community by the local council and national bodies. Back in the 1960s, the Westway was built as the A40(M) through the area, an elevated section of the A40 and a part of the London Motorway Box or ‘Ringway 1’ scheme which was to provide motorway standard roads (it lost motorway status in 2000 when taken over by the GLA) across the city and involved demolition on a massive scale. Such was the devastation and public outcry caused when construction started that the massively costly scheme was abandoned in 1973 and the Westway, along with the nearby West Cross Route also in North Kensington along with the East Cross Route from Hackney Wick down to the Blackwall tunnel and on to Kidbrooke completed. The ‘Homes before Roads‘ campaign persuaded the Labour Party to re-examine its transport policy, and the project was cancelled in favour of traffic management and investment in public transport when they took control of the GLC. 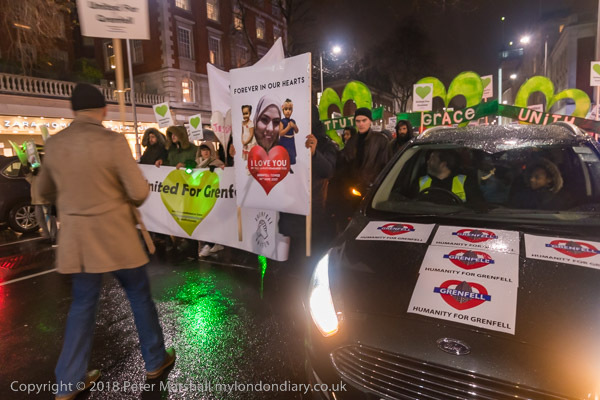 It was no accident that the completed routes were driven through some of London’s most deprived areas, particularly in North Kensignton, areas where opposition was expected to be weaker and the needs of the local communities judged to be of less importance. But community in North Kensington turned out to be stronger and better organised than anyone had expected, and at the completion of the road the devastated area beneath and around it was given in 1971 to the North Kensington Amenity Trust (now renamed the Westway Development Trust), to be reclaimed and developed this land for local community use. 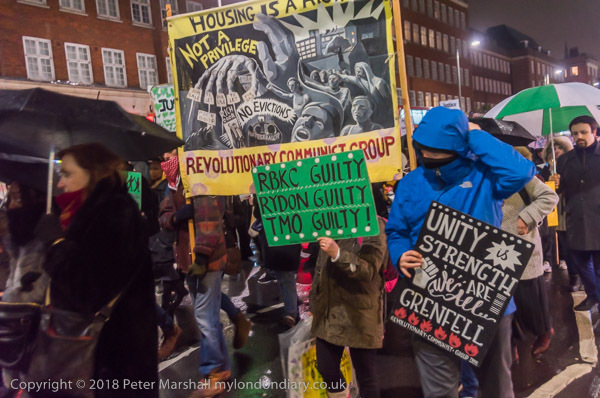 When the concil’s leadership after Grenfell was replaced by Elizabeth Campbell and Kim Taylor-Smith, they promised there would be change and they were listening to the people, and Westway23 called on them to reconsider the plans, and point out that the 23 acres which the Trust was set up and entrusted to protect for the community is now 80% used by commercial interests. 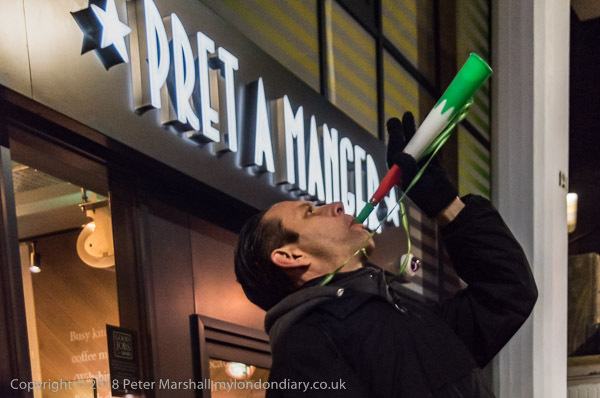 Further they say that RBKC has broken its planning guidance by letting another chain into North Kensington, rather than an independent business. 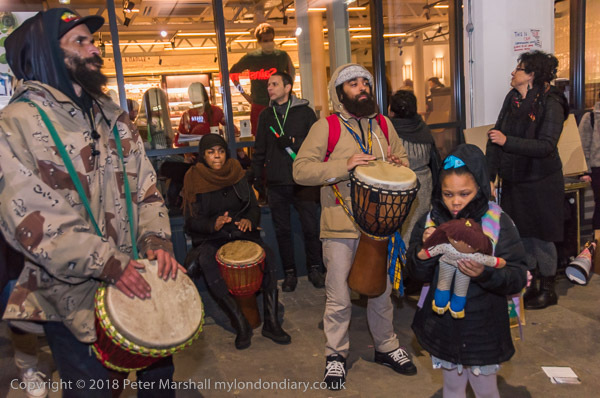 The protest started slowly but soon developed, particularly with the arrival of some African drummers and was still going strong when I had to leave, intending to keep up the noisy picket until the shop closed. So far RBKC still seem oblivious to the complaints of the local community, either about this or on other local issues. 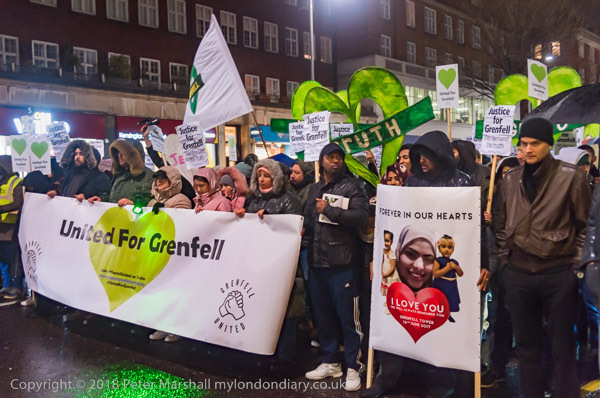 A few days later I was back again in Kensington, this time outside Kensington Town Hall, where the 8th monthly silent march for Grenfell Tower was going to begin, the organisers having decided to move it there to make in much more visible in the borough. It began its march down Kensington High Street in pouring rain and by the time it turned north into a more dimly lit street I was soaked and my cameras were also getting rather wet. I was cold and miserable. When one of my cameras actually stopped working I stopped working too. The street was dark and there would be few opportunities to take pictures before we reached its destination close to Grenfell and Latimer Road station, almost a mile and a half away. I abandoned the march, and made my way the 500 metres to Kensington Olympia station for a train. I fished my ticket out of my trouser pocket, and put it into the barrier gate, which took it in but then nothing happened. The ticket, which had got slightly damp from the rain had stuck inside, blocking the mechanism. Fortunately there was – as there is always supposed to be – a man in uniform by the gates and I went and told him what had happened. He came over and got out his key to open the machine – only to find it would not fit as it had got bent. He could let me through but I needed the ticket to complete my journey. He had to walk over the footbridge to the opposite platform, borrow a key from another employee, come back and could then open the machine to return my ticket. By which time my train had come and left. Fortunately it’s a fairly frequent service, but I was still almost half an hour late getting home. And by the time I got there my cameras had dried off and were working again. This entry was posted on Saturday, June 2nd, 2018 at 09:48 am and is filed under My Own Work. You can follow any responses to this entry through the RSS 2.0 feed. You can leave a response, or trackback from your own site.